This is a stunning Rhombus mirrored candle holder set. These candle holders are a set of 5 and are circular candle holders. These are cute yet modern candle holders. The candle holder is decorated with glass crystals. 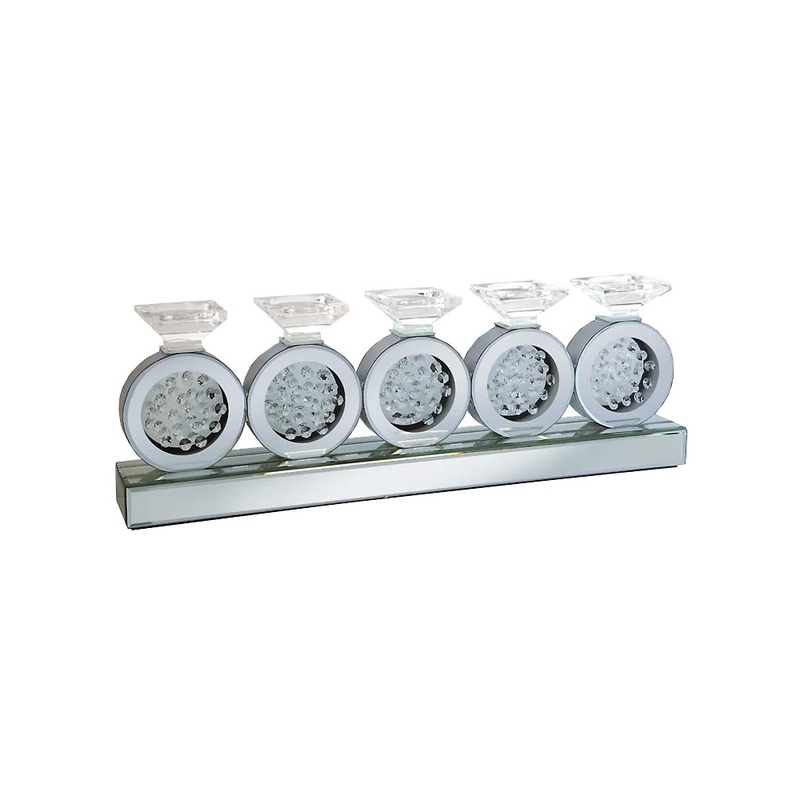 This makes the design of the candle holders very modern and sleek, the candle holder set is made of mirrored glass. The candle holder set is part of the Rhombus range.